Tumwater Vineyard and the Barrel House tasting room. 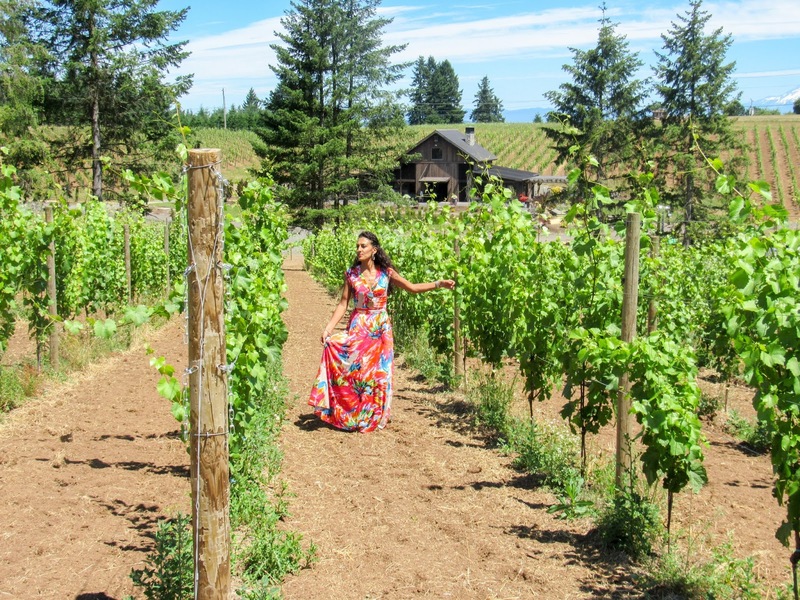 Green Travel Girl adventures in the Pacific Northwest vineyards of Oregon. 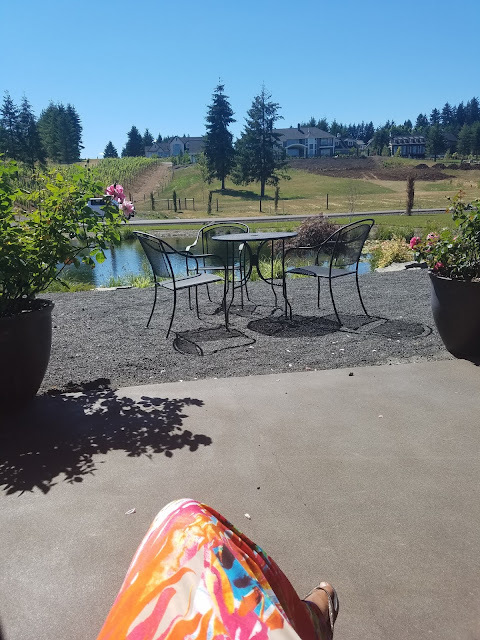 I received a personal invitation by Tumwater Vineyard (through my Instagram amandamonique1_wanderlust) to come and experience their beautiful vineyard and wine tasting room, the Barrel House. I was beyond delighted to accept the offer and had such a wonderful time spending the afternoon there adventuring around and sampling the wines. I was more than excited to come out and experience what Tumwater Vineyard had to offer with its wines, vineyard, and of course its amazing location in West Linn. 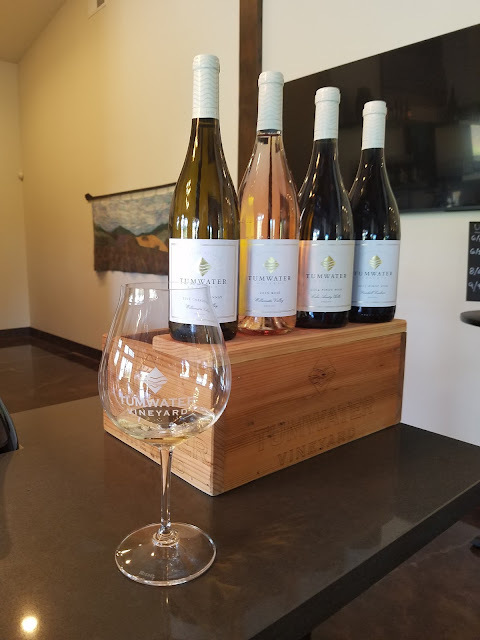 I relished in some wine tasting of the '16 Willamette Valley Rosé, '16 Willamette Valley Chardonnay, '14 Eola-Amity Hills Pinot Noir, and the '15 Yamhill-Carlton Pinot Noir. I must say that all four of the wines I was able to sip on were beyond delectable. The Chardonnay and red wines fragrant and had overall great flavors. I would say that my favorite was the '16 Willamette Valley Rosé, as it was so fruity, savory, and smooth. 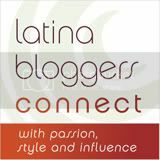 I truly loved it! I also walked around the entire vineyard taking some gorgeous photos and taking in the breathtaking scenic views in all directions around me. If you take a look a little closer, you can see the view of Mt.Hood located in the far background of the vineyard and myself. Truly is magical to be surrounded by so much beauty. The very front of the Barrel House tasting room and the trout pond stocked with live trout fish. With over 3,500 square feet, the Barrel House has lots of indoor and outdoor venue space for parties, meetings, events, and wine tasting. Indoor space can seat and fully cater up to 85 guests, and the outdoor veranda has room for seating 25 additional guests as well as outdoor power for band and DJ set up. Nestled on 23-acres of land, Tumwater Vineyard offers wine tasting out of Barrel House, also has a fully stocked trout pond, but also has one amazing view of Mt.Hood. I loved everything about the Tumwater Vineyard that is located in the beautiful, lush, and magically green Willamette Valley. 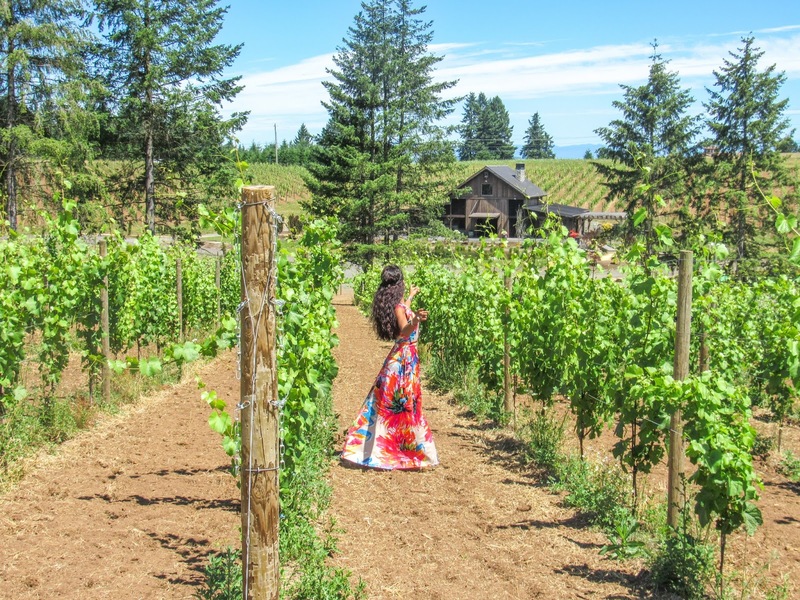 The Willamette Valley is home to more than 500 wineries and vineyards to choose from, you wont find a shortage of places to get some great wine tasting in, and some magnificent photos. My view from the front of the Barrel House. Thank you Tumwater Vineyard and Barrel House for the remarkable wine tasting experience and hospitality! Hope you enjoyed reading my article. Leave a comment for me with YOUR favorite vineyard around the globe!